Panic attacks are a form of an anxiety disorder in which the person exhibits a specific set of symptoms. There are differences between anxiety attacks and panic attacks that involve the length and intensity of the symptoms. People who suffer from anxiety attacks find that the symptoms come on more slowly than with panic attacks and the symptoms in anxiety attacks last longer than those in people suffering from panic attacks. Research from the Mayo Clinic believe that between 10 and 20% of US citizens will have a panic attack at some point in their lives. 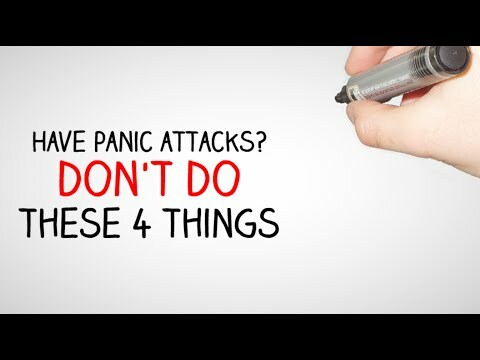 Keep reading for more information on how to deal with panic attacks. A panic attack happens with the natural flight or fight reaction kicks in at the wrong time. This is an involuntary physiological response that happens when the body is preparing to deal with an emergency or dangerous situation. When stress causes an increase in adrenaline it will cause the body to increase metabolism to quickly produce energy. The muscles become more tense, heart beat and breathing accelerate and the blood composition actually changes slightly. At times outside of a dangerous situation these symptoms can be frightening and distressing. A person experiencing these symptoms can find that thinking clearly is nearly impossible. Panic attacks are usually intense, happen quickly and usually stop within 20 to 30 minutes. Anxiety attacks will be less intense but will last longer periods of time. They can happen at any time of the day, even the night during sleep. The attacks are unpredictable and can happen several times a day or just once every couple of weeks. Iron deficiency and panic attacks is one of those triggers. People’s attacks can be triggered by hypoglycemia and food allergies as well. Caffeine can also bring on an attack – especially in an over-indulgence. Certain types of anxiety disorders can run in families and be hereditary. In some cases these are linked to a heart abnormality known as Mitral Valve Prolapse – more common in women than men. When considering ways to cope with anxiety and panic attacks people must also consider not only coping mechanisms during the attack but also considering other physical situations that may trigger a panic attack. For instance, low calcium and magnesium levels can trigger panic attacks or anxiety attacks. Iron deficiency have also been linked to panic attacks. A multivitamin with a mineral complex will help the individual meet their vitamin needs as well as for potassium and selenium, important for brain functioning. Disclaimer – Please keep in mind that we are not trained professionals here at Tools For Depression And Anxiety. The information on how to deal with panic attacks mentioned above was posted for informational purposes only. Please consult your doctor for any mental health issues.